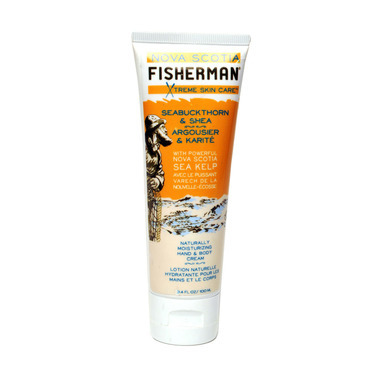 The Seabuckthorn is a bush berry that is incredibly rich in vitamins, minerals, and antioxidants, which are all great for healthy skin. But it’s even bigger sell is its high levels of fatty acids, like omega 3s, 6s, and 7s. I love the Nova Scotia Fishermen lotions. This one feels a bit richer than the original. The scent in fresh and a bit citrus. Really enjoying this!